The RAF owes its existence to a number of people but high amongst those deserving of credit are a South African Field Marshal, a Welsh politician and a Scottish Soldier. We should also perhaps acknowledge the stimulus provided by a number of German pilots. The latter had the temerity to fly their rather cumbersome bi-plane bombers over the heart of London in the summer months of 1917, dropping a number of bombs which killed more than two hundred people and injured five hundred more. The raids took place in daylight and the defences proved largely ineffective, so for example on the first raid the disparate and largely unco-ordinated efforts of ninety-five Army and Royal Navy pilots flying twenty-one different aircraft types resulted in only one German aircraft being shot down whilst the defenders lost two aircraft. The outrage which followed in a nation which had become used to centuries of immunity behind the English Channel and the Royal Navy led to a Welsh politician, Prime Minister David Lloyd George, appointing a South African General [later Field Marshal], Jan Christian Smuts, to investigate the United Kingdom’s air services. At the time the military air arm of the UK was divided between the Royal Naval Air Service, which was, as the name suggests, part of the Royal Navy, and the Royal Flying Corps, then part of the British Army. This division was judged by many to be unhelpful both in respect to organising the air defence of the UK and more broadly in the procurement of aircraft and their allocation to the war effort. Attempts to co-ordinate the supply of aircraft through Boards chaired first by Lord Derby and then Lord Curzon and finally Lord Cowdray, had proved ineffective, in large part because the Admiralty and to a lesser extent the War Office were wont to obstruct any proposal which it was felt impinged on their own freedom of action. Equally, the Prime Minister was frustrated by the inadequacy of the air defence but more broadly with the direction of the War and wanted “a fresh and able mind free of departmental prejudices [an interesting choice of phrase]” to examine the “organisation … and direction of aerial operations”. He chose Smuts, who was a member of the British War Cabinet, representing the Union of South Africa in what was then very much a British Empire war effort. 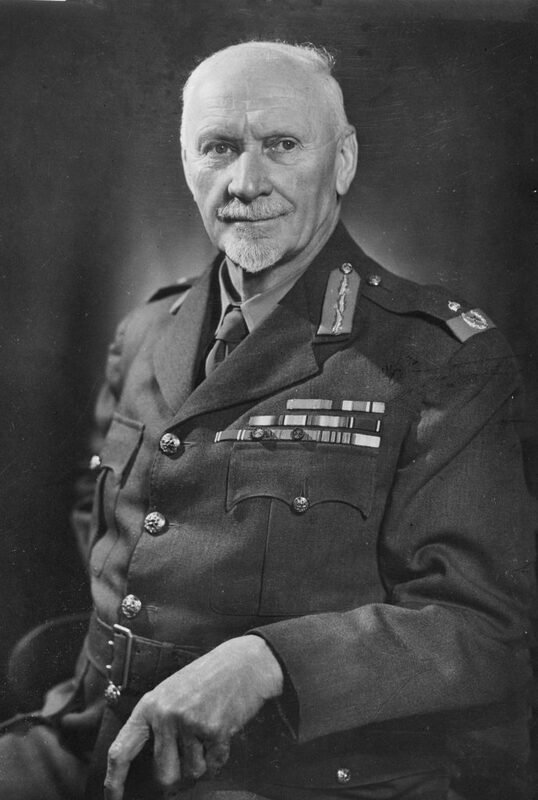 Smuts was a soldier-politician and a highly intelligent and forceful character which made him ideal in Lloyd George’s eyes for the task of preparing a thorough report on the nation’s air power. Smuts had already concluded before he started his review that “We want a proper Air Ministry with a War [i.e.Air] Staff … on the lines of the Army or the Navy”. He knew little of the ins and outs of air forces, however, and thus relied heavily on advice from the man who had been the first commanding general of the Royal Flying Corps, the Scot, Lieutenant General Sir David Henderson. The personal Sopwith Camel used by Major WG Barker VC DSO MC, B6313. Henderson advocated the creation of a separate air force able to conduct air operations both in concert with the Navy and the Army, but also capable of carrying out independent air operations. His vision was to carry through into the final report. Other notable individuals influenced the final outcome of the Smuts enquiry, including Lord Cowdray, Lord Montagu, Lord Hugh Cecil and Winston Churchill, but Henderson’s contribution was amongst the most significant. Although reference is often made to “The Smuts Report” he did in fact render two such reports. The first concerned itself more or less exclusively with military aspects relating to the proper organisation of the Capital’s air defences and led to the creation of the London Air Defence Area, under Brigadier General E B Ashmore, and the transfer of some squadrons and better aircraft from the Western Front. Smuts submitted this first report little more than a week after his appointment. It was Smuts’s second report, which spoke of an air service “as an independent means of war operations” and painted a vision in which aerial operations “may became the principal operations of war”, that led directly to the creation of the Royal Air Force. He stated “The necessity for and Air Ministry and Air Staff has … become urgent.” Smuts submitted this second report on 17 August 1917 and the War Cabinet considered it on 24 August and, despite some opposition from the Navy and Army representatives, it was approved in principle. Much work on the details remained to be done, but the Air Force Constitution Act was passed on 23 November 1917, and given Royal Assent it passed into law on 29 November 1917. His Majesty King George V issued a Royal decree at St James’s Palace on 7 March 1918 stating the new Service was to be styled the “Royal Air Force”. 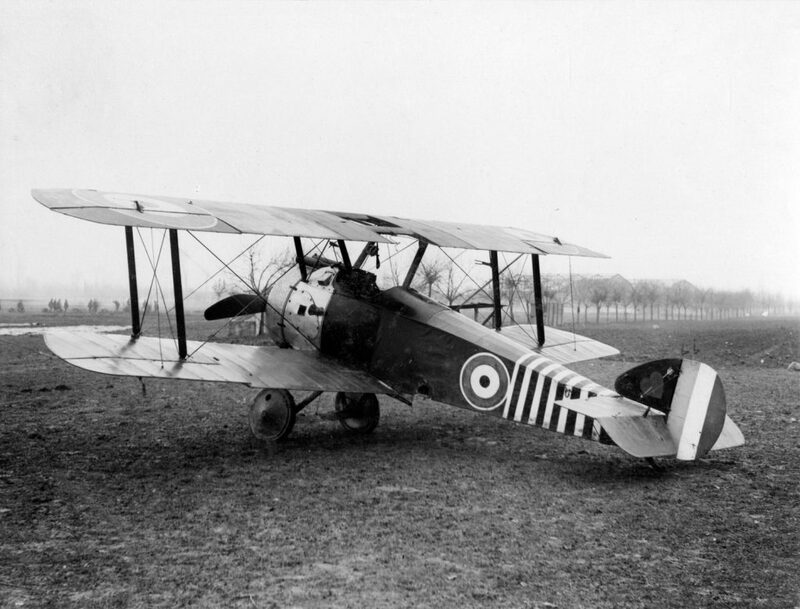 The two separate air services were amalgamated to form the Royal Air Force with effect from 1 April 1918.